Ever since I challenged myself to eat vegan for three weeks (read about it here), I've been drinking a lot more plant-based milk rather than cows milk. I try to make conscious choices about my food every day, which is why I choose for a plant-based milk alternative whenever I can (mostly at home & at work). I've tried about dozens of different kinds of milk: macadamia, hazelnut, rice, oat, hemp, almond, mixed nut, cashew, soy and so on. And although some of them are quite good, I miss the creaminess and velvet-y texture of cows milk. 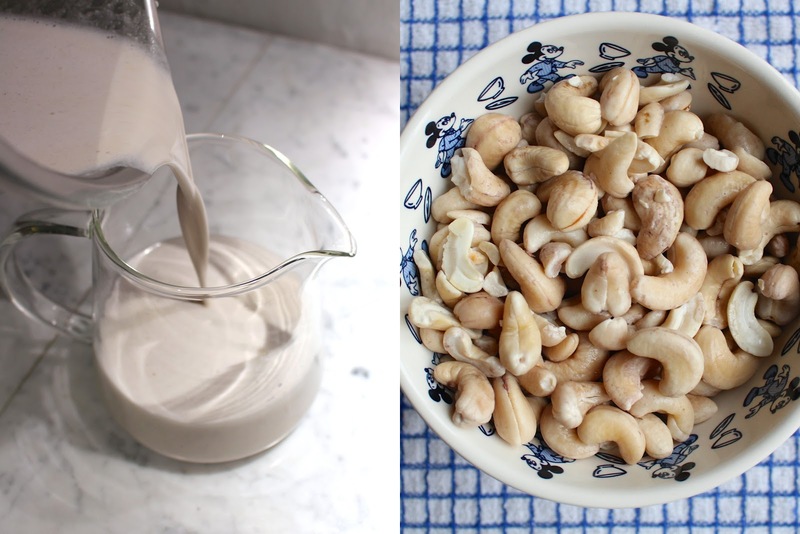 So I did a lot of experimenting and decided that cashews are the best nuts for making a velvety smooth milk with. I've fine-tuned my recipe so here it is! 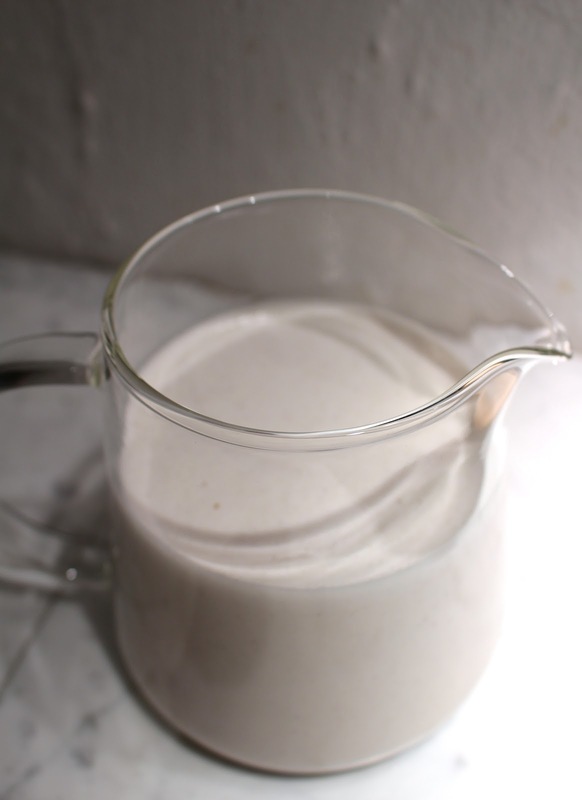 Although making the cashew milk only takes about 5 minutes, the preparation takes quite a long time. So either start with the process the night before or at least 4 hours beforehand. 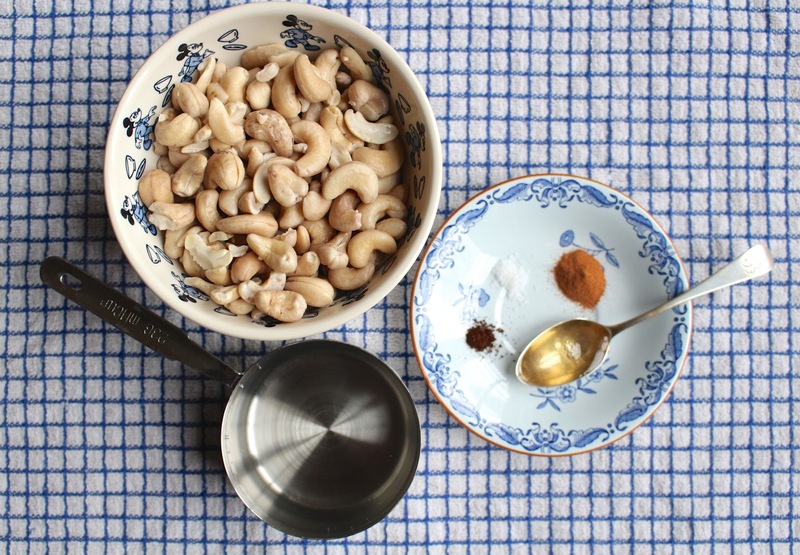 Put the cashews in a bowl and fill it up with water until all the cashews are immersed. Leave the bowl at room temperature for about 4 hours or in the fridge overnight. 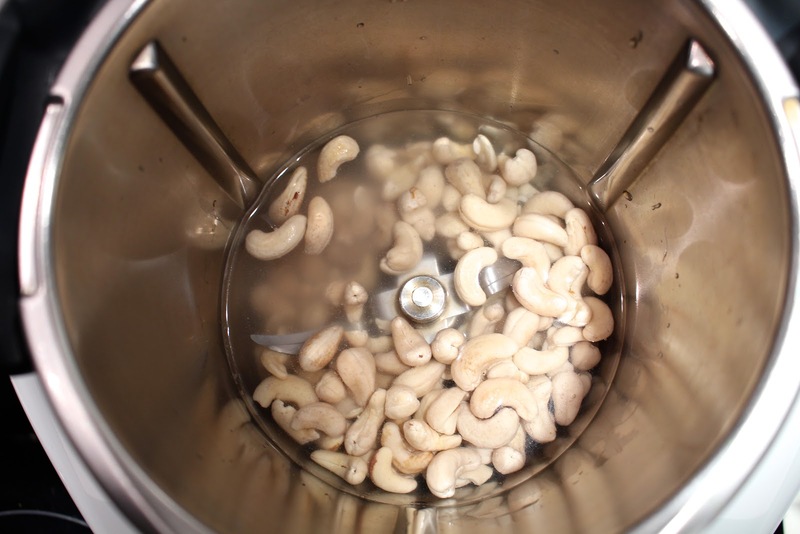 Drain the soaked cashews and rinse them with cold water. Now it's time to make the milk! 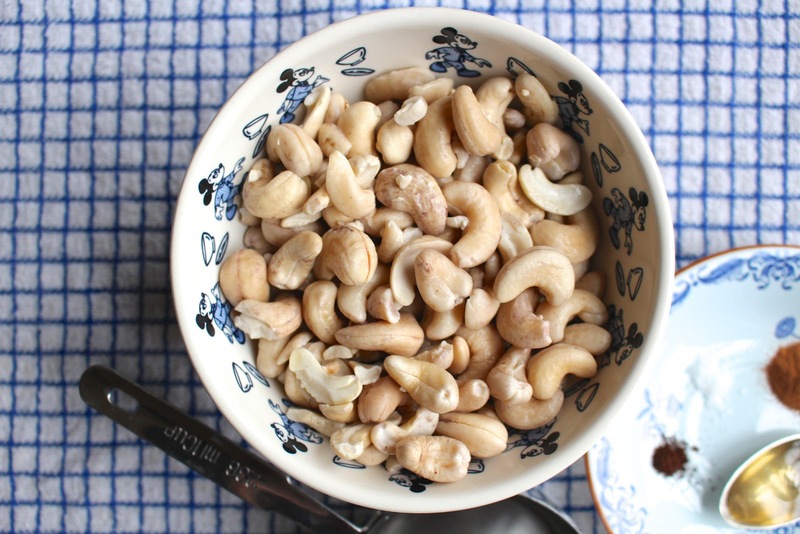 Put the cashews in your blender/food processor with one cup of water. Blend for one minute on high speed. Stop the processor and add the rest of the ingredients: cinnamon, salt, vanilla and agave nectar. Add two more cups of water. Blend for another minute and your cashew milk is done! Keep it in a jug in the fridge for two days or in a covered container for 3 to 4 days. You can also leave out the cinnamon if you don't like the flavour but I think that adding a few hints of flavour like the vanilla, salt and cinnamon make the milk really tasty and rich. Cows milk is also a little bit sweet after all! If the texture is too thick for you, add a dash of water. You can tweak it as you like! 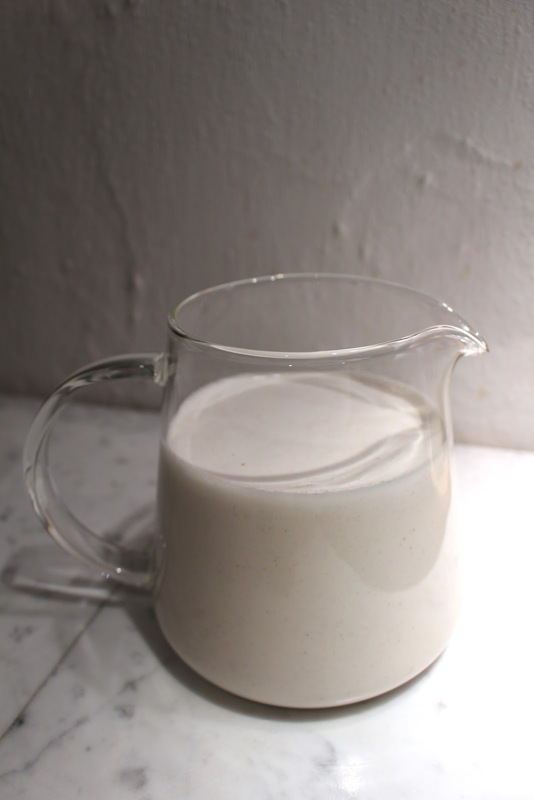 My favourite way to enjoy my homemade cashew milk? Ice cold straight from the fridge or all foamed up in my coffee. 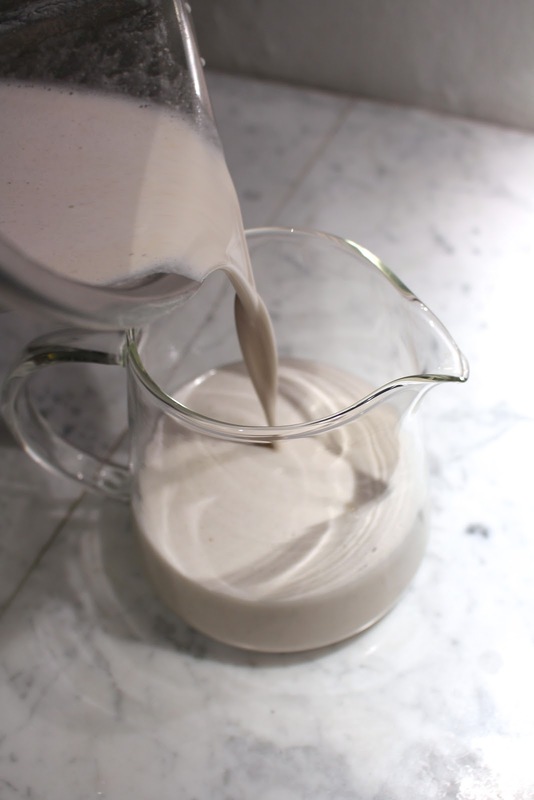 A lot of store-bought dairy-free milks don't foam up at all (only Nut Dream does) but this cashew milk turns into the most beautiful velvety foam to make the perfect cappuccino. I LOVE it! 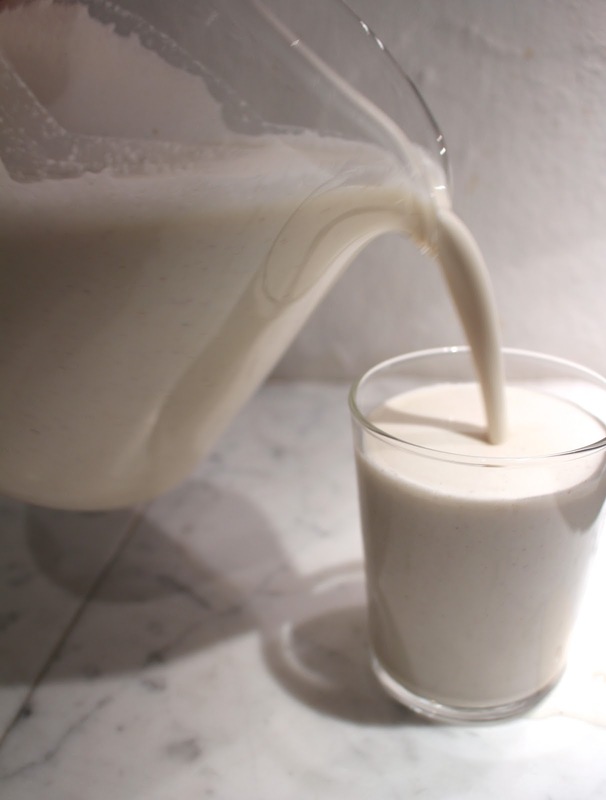 Now you've got a homemade, vegan AND protein-rich milk full of good nutrients. It tastes like heaven and the texture is amazing! Drink it just like that, in your coffee or add it to a smoothie. You'll love it and it's really easy to make!